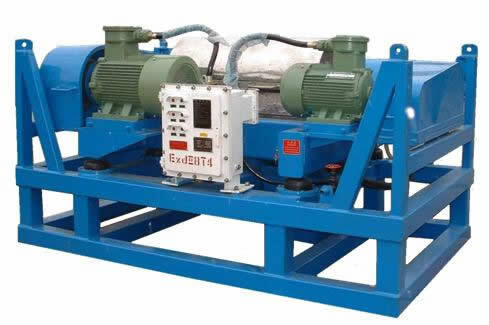 Mud decanter centrifuge is typical drilling mud process equipment. It is 4th phase solids control equipment. Usually it’s set behind AJC mud cleaner or desilter. Mainly separate 2~7 microns particles. The complet conveyor and bowl will be made of S.S to provide high resistance for drilling mud. Furthermore, according to clients’ requirement the drilling mud centrifuge can be designed as VFD type. Permits easy adjustment of bowl, conveyor, and feed pump speeds for varying process conditions and provides torque overload protection.